Relocating to a new house is stressful enough without having to worry about the logistics of an entire move. So when it comes to the heavy-lifting (literally), leave it to the professionals — professional movers, that is. Experienced Pompano Beach, FL moving companies consist of expert movers and packers who can efficiently pack, move and assemble your Pompano Beach belongings to ensure that you get off to a good start in your new home! 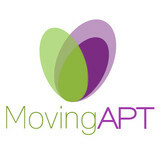 Moving APT was doing moves in Florida, Texas, New York, and Colorado! We’ve been in business since 1999, and today, we are national leaders in interstate moving as a licensed interstate broker. Full-service moving, packing, setup and storage. We know that with a move on the horizon, you have a lot to prepare for. That's why we offer a full range of moving services that can be customized to your needs. Let us take care of packing your items before we load them into our moving trucks. Upon arrival at your destination, we can also help unpack and set up. We also provide storage services if you're not quite ready to move everything into your new place at once. If convenience is an important element to your moving process, you'll love our Solution Driven Packing packages, offering services like electronics disassemble and setup as well. 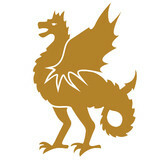 Wyvern is a full-service moving & storage company. Our dedicated team of professionals offers a vast level of experience and commitment to their work. It's been the key to our continued growth and success. By taking the waste and inefficiency out of the moving process, Wyvern is able to provide lower cost and higher quality of service than any moving company around. However, the most important factor is the experience we offer our customers. We try to make sure our customers have the most pleasant moving experience possible.We only hire full-time employees who possess a 'can do' attitude, take pride in their work and love what they do. The entire team goes the extra mile, striving to assure our clients the smoothest, trouble-free relocation possible. From first contact with our office staff to delivery, each customer's individual needs are our priority - on every move, every time.Our dependable fleet of modern moving vans and fair, competitive pricing has contributed to the steady growth in referrals from our satisfied customers to their friends, co-workers and family members. We're sure you will look forward to working with us. Green Auto Movers not only knows exactly how to get your vehicle picked up and delivered on time and in perfect condition but also donates a percentage of our profits to make your transport completely carbon neutral! 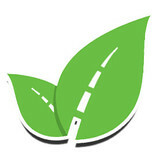 Making us the first truly Green Auto Moving company in the US! 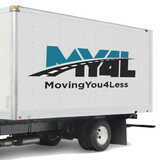 Real Moving Movers & Storage is proud to be one of the best moving companies as your family’s or business’ local mover. Our team provides over 30 years of combined moving experience; we offer you peace of mind when it comes to finding a Florida local mover. Real Moving Movers & Storage has been serving the Florida local communities throughout the United States. We have become one of the leading moving companies that care about client’s satisfaction. Our moving professionals will move your belongings carefully to ensure that nothing will be broken. Our special methods during the moving prevent any breakage. We offer over 30 years of industry experience and will provide you with an unmatched level of experience and commitment to your move. We have earned a solid reputation for a quality, trustworthy and affordable company. We pride ourselves on the quality of our work as well as our commitment to outstanding results. We look forward to providing you a smooth move! Solomon & Sons Relocation is the preferred South Florida moving and storage company. We understand that each move is different, which is why we go above and beyond traditional companies to provide custom plans for any need and budget—and as an independent, family-owned business, we can do just that! 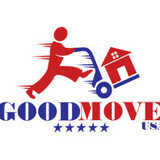 Our full-service movers are courteous, reliable, and have the expertise needed for maximum efficiency and cost-savings. Whether you’re moving locally or need long-distance movers who will get the job done right, Solomon & Sons will provide you with a moving experience you simply won’t find anyplace else! Allied Moving Group is the premier State to State Moving Company that provides full service Packing and door to door service from coast to coast. Our company, GM Van Lines has been in the relocation business in Florida for over 10 years. As the owners we have a combined 41 years experience in the moving industry. In that 41 years time we have relocated over 80,000 families and businesses. We have relocated high profile clients like the FBI, IRS, and Social Security offices as well as big company complexes and even bigger accounts. With this kind of experience it make it a breeze to move you and your family. Move Quick's standard for quality is higher than most, but that’s what it takes to provide our customers with a stress-free move. Not surprisingly, our customer satisfaction ratings are high, and every day we’re innovating new ways to ensure the quality of our services. Since 2006 we have stayed the path of 100% customer satisfaction. This achievement illustrates the significant focus Move Quick has on our customers. Your opinions drive our business strategies as well as our daily decisions, and are used to recognize and reward our highest-performing employees. What this means to you is confidence in knowing a professional, reliable team is listening to your feedback and is dedicated to making your move a positive one. No other mover is making the strides towards having truly loyal customers like Move Quick. American Relocation Services is federally licensed to provide long-distance moving services to anyone from businesses to residents. We arrange premium level moving services configured to any circumstance or situation that arises to efficiently and adeptly complete the move whether out-of-state or intrastate. Simply check the availability of your move with our team. DeVries Moving and Storage Solutions, Inc.
For a unique and customizable moving service that you can rely on to arrive on schedule and in good condition, call our movers in Jupiter. We provide residential and commercial moving services that are tailored to meet the needs and budgets of your family or business. We take pride in our work and want to earn your business over other Jupiter moving companies. Call us or fill out our online request form for a free, no-obligation quote today.